Ubisoft are often criticised for taking elements from one of their games and repeating them almost wholesale in another. The most recognisable symbol of this homogenisation are those oh-so-familiar towers: climbable obstacles that each reveal nearby points of interest on your map once scaled. In Assassin’s Creed, they also present an opportunity to take in the majesty of these massive virtual worlds, the camera spinning around you as you reach the peak, orchestral music swelling as you take in the sights. Since their introduction in 2009, Ubisoft towers have made an appearance in the Far Cry series, Watch Dogs, and even open-world racing game The Crew. People use their inclusion to make an easy joke about this approach to open-world game design – an excuse to mock Ubisoft for a lack of imagination, despite the fact that those towers are such a clever way to reveal a game world that even Nintendo borrowed them for The Legend of Zelda: Breath of the Wild. As we’re on the topic, if you haven’t decided if you want to play Assassin’s Creed Origins, make sure to read our review. But these criticisms began when Ubisoft forgot a crucial function of their towers. If you have ever climbed a high hill or a mountain, you will know the feeling of achievement that washes over you as you reach the top. It is the same feeling you get when you leave the gym after a hard workout and feel the cold air hit your face – you earned that air. You also need to feel like you earned these viewpoints, but some of the later Assassin’s Creed games turned what were once climbing puzzles into vertical surfaces you simply mash a button to scale – or, worse, use a grappling hook to zip to the top. 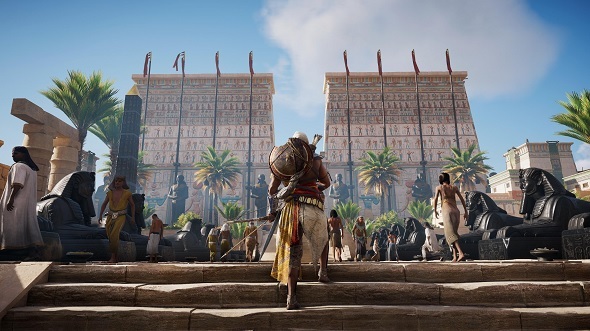 The newest game, Assassin’s Creed: Origins, went back to the birth of the Creed – fitting, as it also reminds us why these towering points of interest exist in the first place. Origins pushes the series forward while also looking at its past, remembering its initial appeal and building on it. Still, even in Origins you can see the imprint of other Ubisoft games released since: your eagle is essentially the drone in Ghost Recon Wildlands or Watch Dogs 2; the way animals interact, the way you can use fire to cause panic, or how you can shoot an arrow to release a caged animal, is all taken straight from Far Cry. But is that really a problem? If you look at any developer, you will see similarities in their games: Arkane Studios specialise in immersive sims; Firaxis are focused on strategy games; and Ubisoft are all about open worlds, whether you are speeding through them in a car or slowly riding a camel up a sand dune. Ubisoft are laser-focused on nailing these virtual playgrounds, obsessed with creating believable places. Despite this specialisation, Ubisoft’s studios are not risk-averse or lacking imagination. They give the impression that they are excited about making games – even for untested tech with install bases that do not guarantee a big payday. They also put out incredible indie titles, such as Child of Light and Grow Home. 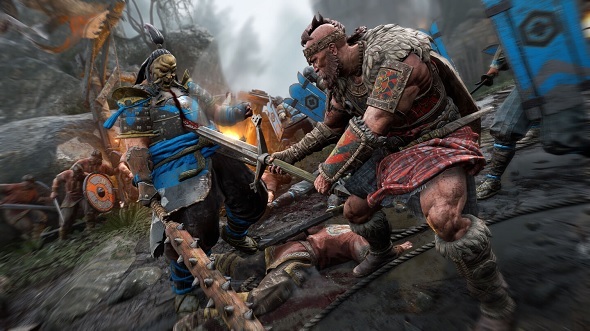 On top of this, Ubisoft’s service games enjoy unparalleled support, evolving and improving over time – Rainbow Six: Siege, For Honor, and The Division all feel like richer games than they did at launch. Then there is online multiplayer – another area where Ubisoft excel. Before ‘service games’ really took off we had tacked-on multiplayer modes in games that didn’t need them. During that time – from the mid-noughties to only a couple of year ago – Ubisoft was king. A year before BioShock 2 gave us a godawful multiplayer mode in a series that never needed it, three years before Spec Ops: The Line released with an online mode even its developers hated, Ubisoft proved that these extra online modes could, in fact, be great. Assassin’s Creed: Brotherhood’s multiplayer mode is still one of the most inventive and fun online experiences around. It is distinct, it does things that no other multiplayer game does, and it stays true to the series’ original pitch of a game about assassinations via social stealth. In Brotherhood’s multiplayer, everyone chooses a character before being plonked into a map with hundreds of NPCs, each looking exactly like the characters you play as. The idea is to hide in plain sight while also trying to figure out who around you is another player. Once you do, you slide a blade into their neck. The act of killing is made all the more satisfying by how casual it is. When you unlock the poison upgrade, you can stick a needle in the suspect as you walk past and watch them drop dead a few metres down the road. They might never even know you are there. Brotherhood’s multiplayer was a game about holding your nerve while being potentially surrounded by death at all times – a game about bluffing, a game about outwitting your opponents. It was fantastic and I miss it. The developers took the mechanics of the single-player and crafted them into something else entirely for the multiplayer mode – a new form that works just as well, perhaps even better. 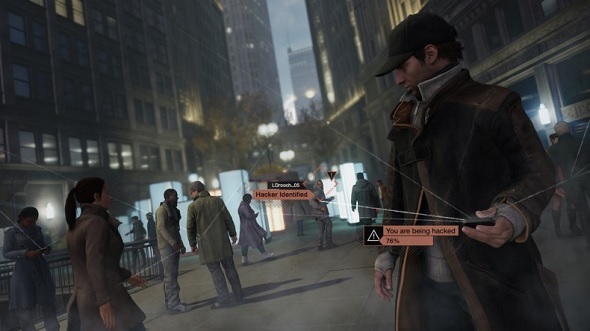 You can see the DNA of this multiplayer mode in Watch Dogs, which lets you invade another player’s game and attempt to steal data from them. Again, you have the appearance of an NPC to them, and you have to do your best AI impression as you tail them across the map [insert Mr. Robot joke here]. If they kill you before the transfer is complete, you fail. You have to master the ancient art of obeying traffic laws to successfully pass off as an NPC drone, essentially. In one match, I stole another player’s data by simply getting inside a parked car on someone’s drive and sinking down in the seat. There is a thrill you get from seeing another player panicking, trying to hunt you down as you watch them from your slumped vantaged point. Splinter Cell is another Ubisoft series I have always loved. It, too, has an excellent multiplayer mode that is unlike anything else. 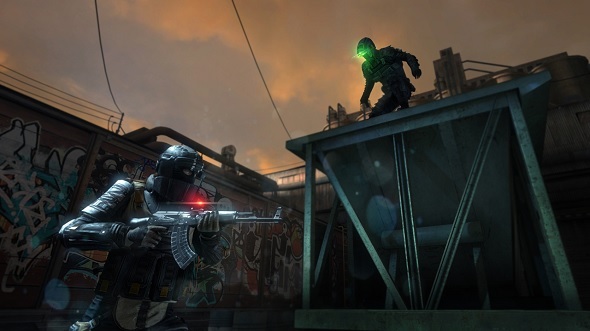 Spies vs. Mercs Classic in Splinter Cell: Blacklist is its ultimate incarnation. The premise is simple: there are two teams of two, one team playing from a third-person view as stealthy Sam Fisher-esque agents, while the other duo play as mercenaries in first-person. The spies can see more and are equipped with night vision in these pitch-black maps. The mercs have limited sight, are equipped with torches, and can easily kill the spies with a spray from an assault rifle if they see them. Playing as the mercs, it feels almost like a riff on Alien – the unseen predators could be lurking anywhere. Things feel just as tense when playing as a spy, however, since you have to steal data from certain points on the map, and as soon as you initiate the hack the mercs will know what area you are in. I won one game by simply hanging from a ledge in the dark as the two enemy mercs panicked and threw grenades around, trying to flush me out. During the course of the match, I was tempted on several occasions by an easy takedown on one of the enemies, but it would have left me exposed. Instead, I just dangled there, motionless. I did nothing and I won. I did nothing and it was one of the best multiplayer experiences I have ever had. As with the the aforementioned ‘tower creep’, you can see aspects of these multiplayer modes bleed into other games in Ubisoft’s portfolio, too. I cannot imagine a world where Rainbow Six: Siege would exist without these experimental side projects in asymmetrical multiplayer modes. Outside of Ubisoft’s lineup, you also have to wonder how Breath of the Wild would look in a world without Assassin’s Creed. Rather different, I would imagine. Ubisoft might seem like an easy target for ridicule, but only if you overlook the real innovation that comes out of their studios on a yearly basis. You are missing everything they influence. Put your hand on the next stone and pull yourself up to the peak, and you will see a gaming landscape stretching out before you, Ubisoft’s shadow looming over much of it. This feature was originally published on December 1, 2017. Read more about Assassin’s Creed Origins.